Freeze pops in a sand pail are a perfect gift. I'm sure everyone loved them. Your ice cubes are really pretty! There is nothing like a good baseball game in the summer. And those ice cubes are so fun! Have a great weekend! i miss hummingbirds here in the city. i saw a documentary on them once and it was fascinating! that sounds super nerdy, and i'm not an aviary person, but reallly it was! Love the freeze pops in the sand pail. I love that hostess gift! Oh I love the ice with berries inside! Love the ice with fruit! I also love hummingbirds, great picture! oh freeze pops! Oh I love thee. I love baseball too!! I still go no matter how hot it is. I love these pictures! 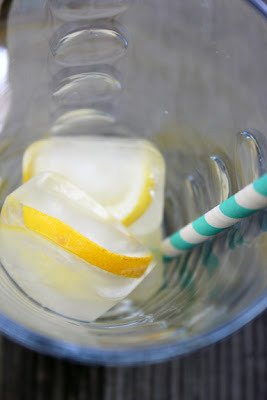 And that straw in your drink :) I love going to ballgames as well! I have family members that are BIG Tigers fans :) The hubby and I are thinking about planning a trip to visit them and their new little one and possibly catch a game! 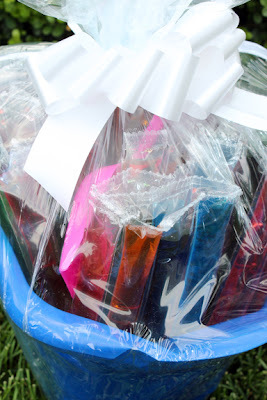 freezies are definitely the perfect hostess gift!! and i never knew to use boiling water to get clear cubes. sweet! !